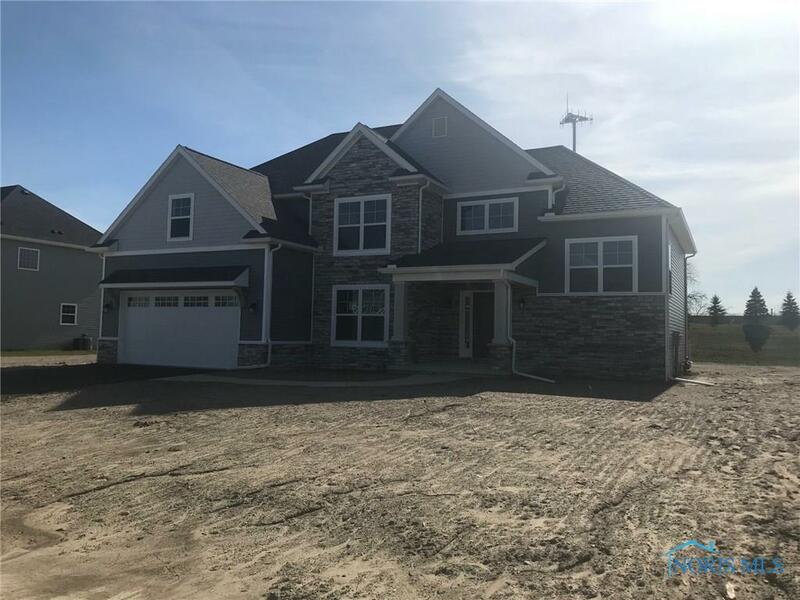 BEST VALUE IN PERRYSBURG NEW CONSTRUCTION! 2X6 EXTERIOR WALLS, 2 STORY GREAT RM W/FIREPLACE, HARDWOOD FLOORS & LOADS OF CERAMIC TILE! GRANITE IN KITCHEN & BATHS! PAINTED CABINETRY, TILE BACKSPLASH & STAINLESS APPLS! FORMAL DINING W/WINE BAR! MASTER HAS HUGE WALK-IN & PRIVATE BATH W/SOAKING TUB & DUAL VANITY! MUD RM W/CUSTOM LOCKERS & MAIL DROP! TALL BASE MOLDING! STONE/VINYL EXTERIOR! PRIVATE LOT! Directions: Hawthorne Subdivision. Roachton Rd, West Of Fort Meigs, To Woods Edge, To (R) On Barton Creek.